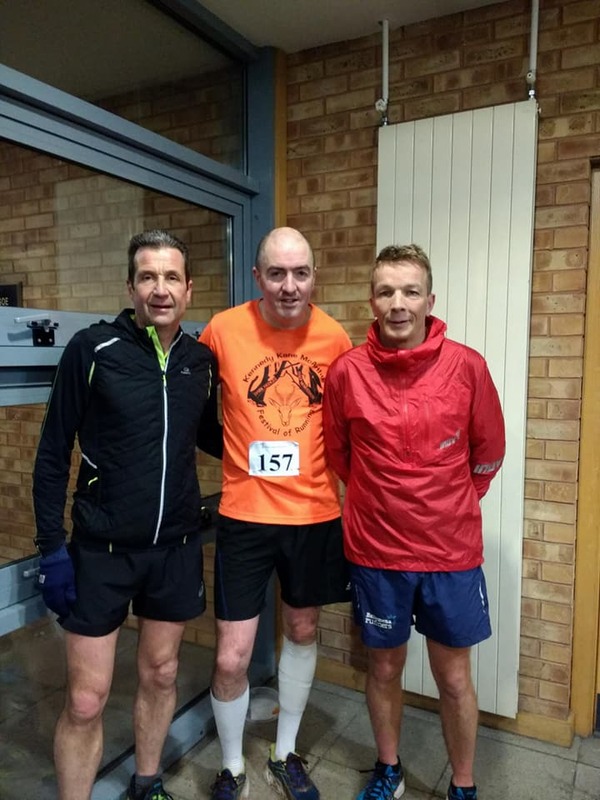 56 hardy souls brave the weather for the Ballymena Academy Charity 5k, Robert Meban meets a running legend, the latest intake graduate from the Cosy Sofa and the club is well represented on St. Patrick's Day. Around 1250 runners descended upon Belfast on a cold St. Patrick's Day morning for the annual Spar Craic 10k around the city centre, beginning in the shadow of the City Hall and finishing on the Titanic Slipway. 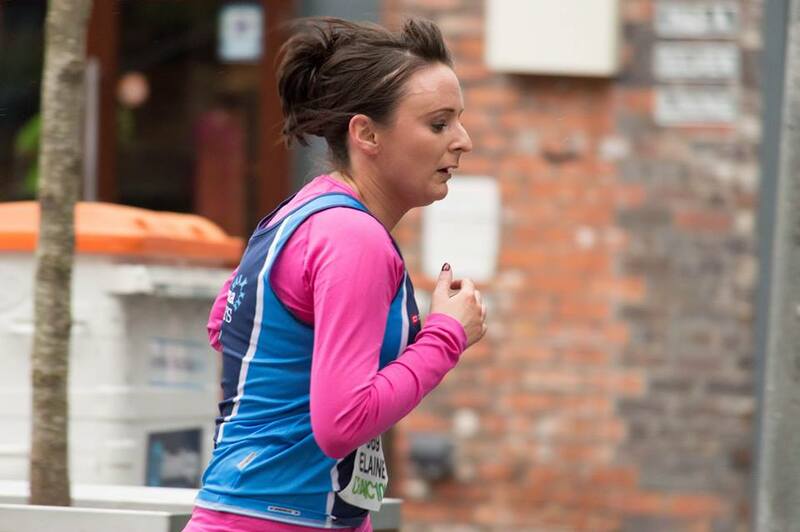 A number of Ballymena Runners made the trip to the capital for the event, with Eleanor Forrest Reid leading the local charge with a time of 47:13, ahead of Sinead Scullion (48:17) and Shama Lamsiah (52:34). Other entrants from the club were Adrian Dodds (1:08:40), Rachel Galbraith (1:00:21), Martin Harris (1:06:33), Lisa Kirkwood (1:08:40), Patricia MacRory (58:55), Brigid Quinn (57:40) and Elaine Scullion (57:53). Congratulations to Martin and Lisa on setting new personal bests over the distance. On Wednesday night a number of hardy souls braved the conditions to compete in the annual Ballymena Academy Charity 5k. Organised by club member James Turtle, the race was held in challenging wintery conditions, the runners - featuring many recent Cosy Sofa To 5k graduates - completed four laps of the school grounds. In the ladies race Linda Petticrew was first to cross the line, ahead of Sinead Scullion and third placed Katie Agnew. Meanwhile, Seamus Kelly was the first man to break the tape, beating Noel Connor and Mark Alexander into second and third spot respectively. But, more importantly, the event raised almost £300 for the school's nominated charity, The Alzheimers Society. Well done to all the latest graduates to complete the Ballymena Runners 9-week Cosy Sofa To 5k programme. They have all come along a great journey and we hope to see them all continuing their running with the club in the future. If you are keen to begin your running journey with us there will be another opportunity next month in Cullybackey, beginning 11th April, when we begin our next Cosy Sofa programme. Club member Robert Meban escaped the recent inclement weather this week to compete in the Falesia 5k in Albufeira, Portugal. Not only did Robert set a personal best at the event (24:20) but he mixed in illustrious company, namely Mike Gratton, winner of the 1983 London Marathon who now runs 2:09 Events, a company specialising in travel and training abroad for runners.